"And the winner is... Amazon?" The online retailer might be hearing that in a matter of weeks. Amazon Prime's "Transparent" earned two Golden Globe nominations on Thursday, further heralding the company's push into original TV programming. This is the first year that Amazon is picking up nominations traditionally reserved for television networks. Last week "Transparent" received several nominations from the Writers Guild Awards. Now the show is up for a Golden Globe in the best TV comedy category, and its star Jeffrey Tambor is nominated is nominated for best actor in a comedy. "This wonderful acknowledgment from the Hollywood Foreign Press Association is huge for us," Tambor said in a telephone interview on Thursday. "There are people -- millions of people -- who have seen the show, but there are millions of people who don't know quite how to get us. I think this will help spread the word." 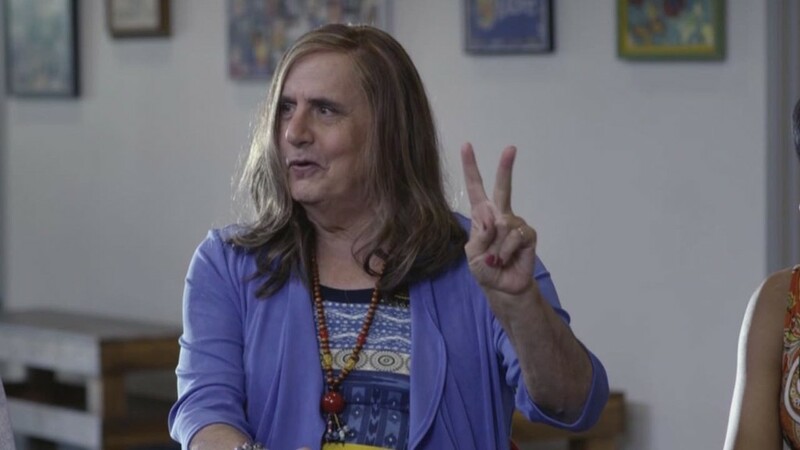 By "get us," Tambor means "stream us" -- "Transparent" premiered on Amazon Prime Instant Video earlier this fall. Amazon's streaming service has emerged as a top online rival to Netflix, which also has a show nominated in the best comedy category, "Orange is the New Black." The other three nominees are from traditional networks -- "Jane the Virgin" on the CW, "Silicon Valley" on HBO, and "Girls" on HBO. In "Transparent," Tambor plays a father named Mort who comes out as a woman, Maura, to his children. Maura is one of just a small number of transgender characters on American television. The show -- which some critics have labeled the best new series of the year -- will also be eligible for Emmy Awards in a number of months. Tambor called the Golden Globe nominations a "huge acknowledgment" both for Maura and "for Amazon." The Globes winners will be announced in an NBC telecast on January 11. Jill Soloway, who created the series, said her writing team learned about Thursday's nominations news while on a retreat. "Writers, say hey!" she said by phone, cueing the writers nearby to scream hello. "We're in the middle of doing some big picture dreaming for season two," she said. The second season is slated to debut on Amazon next fall.